Hayden introduces herself to Liz and Jake. Liz questions how she knew where to find Jake. Hayden explains that she&apos;s from Beechers Corners and that Jake has no family. She tells them that the two had a fight. When Jake took off, she assumed it was for good. Liz questions why it took so long to track him down. Liz asks for proof, photos and documents. Hayden claims she has at the hotel and offers to get them. After leaving the house she calls someone to report her success. Maxie yells at Nathan for boxing with Spinelli and is shocked to hear that it was all Spin&apos;s idea. Spinelli counters that Nathan ordered him to leave Port Charles and he didn&apos;t know how else to win Maxie back. Spin hears Nathan mention that Maxie loves him as well and he questions Maxie. Nathan swears he didn&apos;t do anything to hurt Maxie and is taking himself out of the race. Michael&apos;s upset to find Morgan at the Quartermaine mansion, visiting Avery. The two argue, while Michael tries to get Morgan to understand where he&apos;s coming from. 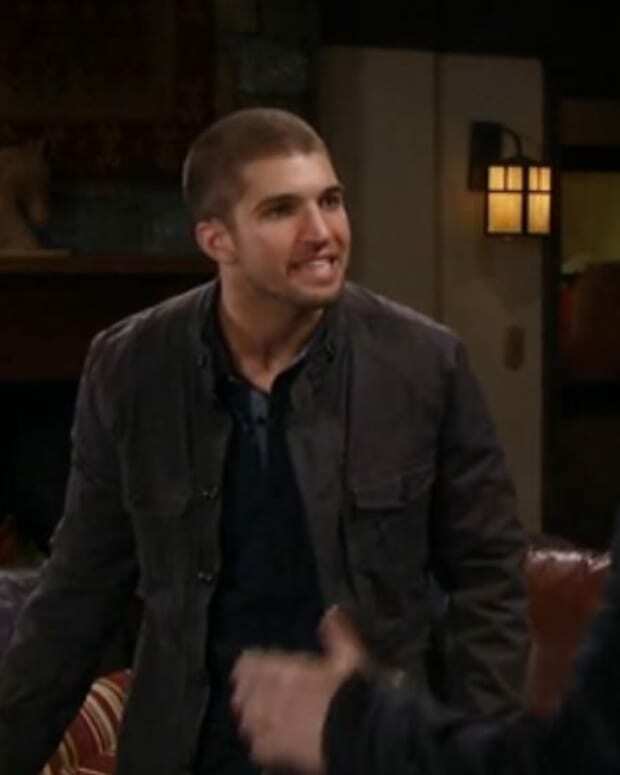 Talk turns to fisticuffs which Ned has to break up. Julian offers to help Kiki fight for custody of Avery, but she assures him she has another plan in motion. Silas admits Ava has likely only 3 months to live, but doesn&apos;t want to give up. He says they may still be able to find a donor, but Ava wants to die on her own terms. Silas feels that he can&apos;t help her suicide, so Ava says she&apos;ll find someone else to do it or she&apos;ll do it herself. Silas says he cares too much for her, but Ava tells him to make peace with it and let her go. Lulu and Tracy beg for answers from Valerie. They worm their way into the house, as Luke and his gun hide in the closet. Lulu wonders if Patricia mentioned a traumatic event in Luke&apos;s past, but Valerie claims no knowledge. Lulu and Tracy start to leave when Luke makes a noise. Michael tells Ned that Skye signed her shares to Luke. Ned worries that the legend of Doom have a one-third of the ELQ stock. Julian runs into Olivia and wonders again if he could be the baby&apos;s father. Ned arrives in time to claim again, that he is. Morgan tells Kiki that he managed to steal some drugs from the hospital and replaced Michael&apos;s allergy medication. Kiki worries that Avery could get hurt, but Morgan reassures her that she won&apos;t.
Michael takes some of the medicine.